What do Brad Pitt, Christian Bale and Ryan Gosling have to do with the mortgage industry? A movie adaptation of the 2010 best-selling book "The Big Short: Inside the Doomsday Machine” is reportedly about to start filming in New Orleans with some Hollywood A-listers. The book, written by Michael Lewis, tells the story of the housing crash and the financial crisis, including the world of real estate derivatives and sub-prime mortgages. 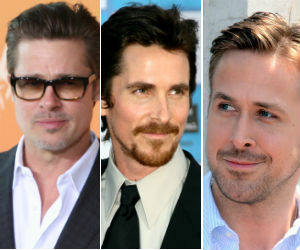 Brad Pitt, Ryan Gosling and Christian Bale are lined up to star, according to Variety. Steve Carell may also join as a broker shorting subprime home loans. Read the full story. The world’s super-rich love buying property in the U.S., according to a new report from the real estate consultant company Knight Frank. The study found that New York City and Aspen, Colorado top the list of 100 global locations favored by the wealthiest investors, with San Francisco and Los Angeles also making the top 10. To be considered wealthy, poll buyers need at least $30 million in assets. Their spending power pushed up prices of luxury homes by 18.8% in New York and 16% in Aspen during 2014. San Francisco and Los Angeles’ luxury markets gained 14.3% and 13% respectively. Outside of the U.S., Bali, Indonesia; Istanbul, Turkey; Abu Dhabi, United Arab Emirates; Dublin; Cape Town, South Africa and Muscat, Oman made the top 10. See the top 100. Faced with little choice of apartments to chose from, buyers in New York are becoming increasingly impulsive. Browsing a selection of potential new homes before making a commitment has been replaced by snapping up the first one they see. The New York Daily News reported that while the average homebuyer views 10 properties, these “one and done” buyers have a 20-minute viewing and are ready to sign the contract. With Manhattan apartments at the fourth-lowest inventory rate in history, it’s not surprising that there is a sense of urgency for buyers. It’s also good news for sellers, who are typically achieving sale prices closer to what they’re asking than before. It also means less time to achieve a sale with an average of 102 days in Manhattan and just 78 in Brooklyn. Read the full story. After a divorce and quitting the TV show “The View”, Rosie O’Donnell is cutting back on her real estate portfolio. According to Zillow, she is selling her $5.75 million Florida home just two months after off-loading a $9 million New York penthouse. She has also recently listed four properties in Nyack, New York. The latest listing is a four-bedroom, 5.5-bathroom beachfront home south of Sarasota, Florida. With a 4,648-square-foot property on a 0.78-acre plot there is plenty of space, as well as 100 feet of beach with a private dock. Read the full story.